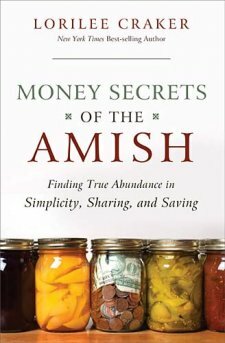 In Money Secrets of the Amish, established author Lorilee Craker embarks on a journey to reveal the secrets to the financial success of the Amish people. From Mennonite lineage herself, Craker delves into the Amish culture with a fresh but somewhat experienced perspective. She meets and interviews successful Amish families as she journeys into Pennsylvania Amish communities. Craker soon finds more than simple answers to her questions and discovers some welcoming and generous friends in these genuinely humble people. The financial advice Craker receives, and then relays to her readers, is as plain and simple as the Plain folk themselves. Though Craker does include a good many valuable suggestions, the “secret” answer lies more in the Amish people’s simplistic way of thinking, based on Biblical values and moral standards, than any so-called secret strategy. I thoroughly enjoyed the quick pace and easy reading style Craker takes with this book. After reading the publisher’s book description, I expected a book full of specific examples and suggestions of money-saving techniques. However, I was pleasantly surprised to read a book more on the way of life and mindset of the Amish rather than simply a collection of thrifty suggestions. Money Secrets of the Amish is written in a refreshingly candid, first person style. Craker’s admiration of the Amish people is obvious.